Fall is the time of year when it seems like everything is made from or flavored with pumpkin. That’s great for a lot of folks, but what do you do if you aren’t a big pumpkin fan? If you don’t look forward to pumpkin spice lattes, pumpkin bread, pumpkin soup, pumpkin pasta, pumpkin flavored ice cream and pumpkin pie, we’ve got good news for you…you are not alone! Here are some awesome alternative dishes and drinks from soups to cold and hot drinks, to warm, delicious oven-baked breads and desserts for those of you who are not “pumpkin people”. Love this latte! If you aren’t craving a PSL (or just unwilling to wait in line with everyone who is!) here’s a delicious hot drink that will have you saying, “pumpkin spice who?” in a heartbeat. The Carmel Apple Spice Latte will quench your thirst and satisfy your desire for that special, fall-specific flavor, and you aren’t in nearly as much danger of hearing “Sorry, we’re sold out” as those other folks waiting for their pumpkin spice latte. Starbucks makes this luscious latte with steamed, freshly pressed apple juice and cinnamon syrup topped with sweetened whipped cream and caramel drizzle. 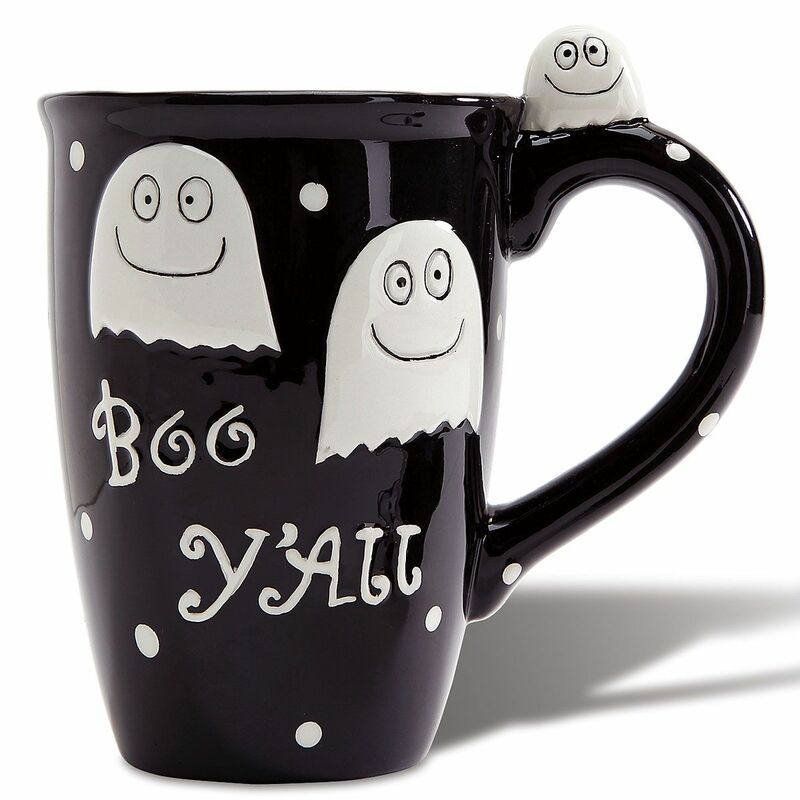 Grab your favorite Halloween mug and make this at home, and it could easily become your new fall favorite. Hint: this makes a great cold choice as a frappuccino, too! Preheat oven to 350°. Oil and flour a 4- by 8-in. loaf pan. Whisk 2 cups flour with other dry ingredients (except sugars) in a bowl. Beat sugars, eggs, and 1/2 cup oil until blended. Slowly mix in zucchini. Gradually beat in flour mixture until just combined. Scoop batter into pan. Bake until a toothpick inserted in the center comes out clean, about 1 hour. Cool 10 minutes, then invert onto a rack. Turn over; let cool completely. When we said soup, you probably thought squash, right? Surprise! 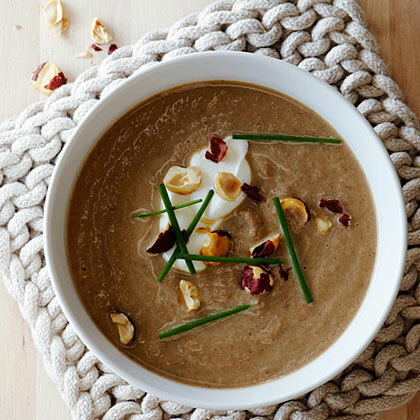 We do love squash soup, but here’s a mouthwatering recipe for mushroom soup that will have your taste buds begging for a second serving. Heat oil in a large pot over high heat. Add mushrooms, pancetta, celery, leek, and garlic. Cook, stirring often, until vegetables have softened, about 6 minutes. Add wine if using and cook 1 minute. Add rosemary, salt, pepper, broth, and 1 cup water, then cover and cook until simmering, about 6 minutes. Whirl soup in a blender until smooth. Divide among 4 bowls and top each with a dollop of crème fraîche and a sprinkle of chives and hazelnuts. Serves 4. After you’ve enjoyed the wonderful fall flavors of caramel apple, ripe zucchini, and healthy, hearty mushroom, it’s time to finish your fall feast with a slice of decadent to-die-for pie, and we’ve got the perfect recipe. Make pastry as directed in a regular 9-in. pie pan. Let cool. Preheat oven to 350°. Whisk eggs in a large bowl to blend. Add sugars, corn syrup, bourbon, butter, vanilla, and fine salt and whisk until smooth. Roughly chop half the hazelnuts, then stir all of them and the pecans into egg mixture. Pour into pie shell. Bake until filling is well browned but still a little jiggly when shaken, 45 to 50 minutes. Let cool on a rack at least 3 hours. Sprinkle with flaked salt. *Oregon hazelnuts are generally far superior to imports. If your market doesn’t carry them, order from freddyguys.com. To roast raw hazelnuts and pecans, bake in separate shallow pans at 350° until golden beneath skins, 8 to 15 minutes. 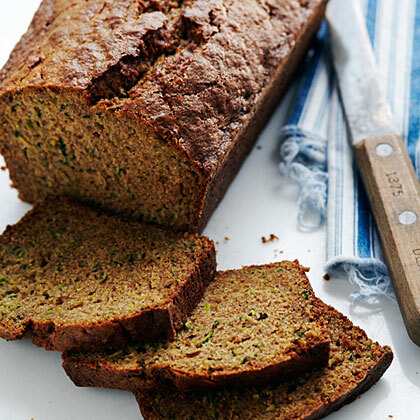 Make ahead: Up to 1 day at room temperature. Serves 8. 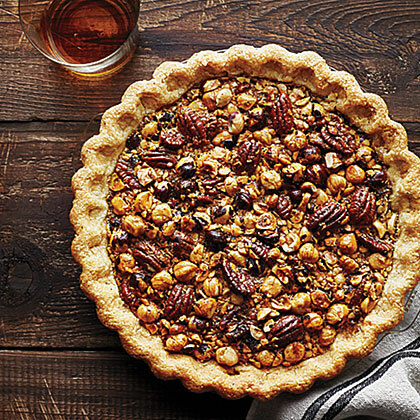 There you have it; recipes for a warm or cold drink, tummy-satisfying baked bread, a warm, hearty soup, and an out-of-this-world pie for a festival of fall flavors that don’t have anything to do with pumpkin. We hope you enjoy trying some of these delicious recipes and indulging in the wonderful aromas and satisfying tastes of autumn.